Lawrence University graduate Anton “Tony” Valukas, the court-appointed examiner in the historic bankruptcy case of Lehman Brothers Holdings Inc., speaks with Steve Kroft on this Sunday’s (4/22) edition of “60 Minutes” about the collapse of the firm that triggered the world financial crisis. In 2009, Valukas was appointed by a federal judge as the examiner for the Lehman Brothers bankruptcy, the largest bankruptcy in United States history. As examiner, Valukas investigated the causes of the Lehman Brothers bankruptcy. After reviewing 34 million documents and interviewing nearly 300 witnesses, Valukas issued a seven-volume, 2,200 page report detailing potential wrongdoing by certain Lehman executives and Ernst & Young, the auditor. Valukas, who earned a bachelor’s degree in government from Lawrence in 1965, is chairman of the Chicago-based national law firm Jenner & Block. Valukas will be awarded an honorary Doctor of Laws degree by Lawrence Sunday, June 10 at the college’s 163rd commencement and also serve as the ceremony’s principal speaker. Hortonville High School biologist Jackie Dorow and Karen Brownell, a mathematics teacher at Pittsville High School, will be presented Lawrence University’s Outstanding Teaching in Wisconsin Award Sunday, June 11 during the college’s 157th commencement. Both will receive a certificate, a citation and a monetary award. Established in 1985, the teaching award recognizes Wisconsin secondary school teachers for education excellence. Recipients are nominated by Lawrence seniors and are selected on their abilities to communicate effectively, create a sense of excitement in the classroom, motivate their students to pursue academic excellence while showing a genuine concern for them in, as well as outside, the classroom. A native of Greenville and a graduate of Hortonville High School, Dorow joined the faculty of her alma mater in 1974. During her 32-year career, she had taught general biology, honors biology, botany, zoology as well as anatomy and physiology. She has served as the chair of the biology department the past four years and also leads Hortonville’s North Central Accreditation School Improvement Committee. In nominating Dorow for the award, Lawrence senior Angie Geiger, a 2002 Hortonville graduate, praised her former teacher for her enthusiastic and nurturing style in the classroom. Recognized as Hortonville’s Teacher of the Year in 1989, Dorow is a member of the National Science Teachers Association, the National Association of Biology Teachers and the Wisconsin Society of Science Teachers. She earned her bachelor’s degree at UW-Oshkosh in biology and her master’s degree in education at Aurora University. Like Dorow, Brownell also returned to teach at her own former high school. Since joining the Pittsville High School faculty in 1976, Brownell has taught virtually every math course, including algebra, geometry and calculus. She also has served as the coach of the school’s math team during most of her tenure. Under her direction, Pittsville has been a consistent top-five finisher in the annual Central Wisconsin Math League Competition, including a string of nine consecutive first-place finishes in the 1980s and ’90s. Lawrence senior Amalia Wegner, a 2002 Pittsville graduate, cited Brownell’s unflinching determination among the reasons why she was a special teacher. Wegner recalled Brownell spending her lunch hour, free period and after-school time to tutor a particular student who was struggling. Outside the classroom, Brownell has coached the girls’ volleyball team for 28 years, winning eight conference titles and making four trips to the state tournament, including second-place finishes in 1986 and 1995. She also has served as Pittsville’s track coach for the past 17 years. A member of the National Education Association, Brownell earned a bachelor’s degree in mathematics from UW-Stevens Point. Emmy-winning television producer and director Catherine Tatge and accomplished businessman-turned-cultural advocate Richard Franke will be recognized by Lawrence University for their achievements and societal contributions with honorary doctorate degrees Sunday, June 11 at the college’s 157th commencement. Graduation exercises begin at 10:30 a.m. on the Main Hall Green. Lawrence will award an honorary doctor of fine arts degree to Tatge and an honorary doctor of humane letters to Franke. In addition, 298 seniors from 36 states and 21 foreign countries are expected to receive bachelor of arts and/or music degrees. A baccalaureate service featuring Tim Spurgin, associate professor and Bonnie Glidden Buchanan Professor of English, will be held Saturday, June 11 at 11 a.m. in the Lawrence Memorial Chapel. Both honorary degree recipients, along with President Jill Beck, Lawrence Board of Trustees Chair William Hochkammer, ’66, and student representative Jeni Houser, a senior from Stoughton., will address the graduates during commencement. Both the baccalaureate service and commencement ceremony are free and open to the public. A 1972 graduate of Lawrence, Tatge has compiled an expansive body of work, producing or directing more than 50 films, television programs and series encompassing genres from public affairs and cultural performances to biographies and documentaries. Tatge has collaborated extensively with noted television journalist Bill Moyers, including the seminal PBS series “Joseph Campbell and the Power of Myth with Bill Moyers.” Tatge earned an Emmy award in 1988 for her work.served as producer and director of the six-episode series. Playwright Tennessee Williams, dancer/choreographer Martha Graham, West Indian poet Derek Walcott, opera star Barbara Hendricks and famed Hollywood filmmaker William Wyler are among the numerous figures Tatge has profiled in documentary films. Her current projects include “Breaking the Silence: Children’s Stories” which examines the effects of domestic violence on children, “Small Wonders,” a series on the future of nanotechnology and “The History and Future of Democracy,” a four-part series hosted by author and Newsweek International editor Fareed Zakaria. She is a member of both the Director’s Guild of America and the Writer’s Guild of America. Franke enjoyed a 40-year career as an investment banker for the Chicago firm John Nuveen & Co., retiring in 1996 as the firm’s chairman and CEO. In recognition of his efforts in raising awareness of the ways the humanities enrich daily life, Franke was honored in 1997 by President Clinton as one of 10 recipients of the nation’s first National Humanities Medal. That same year, Franke was named chairman of the National Trust for the Humanities. Since 1996, he has served as an elected member of the prestigious American Academy of Arts and Sciences. In addition to establishing the Chicago Humanities Festival, Franke created the Richard J. Franke Fellows in the Humanities program in the mid-1980s at Yale University, which supports 30 graduate students. In 1990, he also established the Franke Institute for the Humanities at the University of Chicago to foster and promote advanced research in the humanities. Franke earned a bachelor’s degree at Yale University and his MBA from Harvard Business School. He has previously received honorary degrees from Yale and DePaul University. Richard Warch will find himself in a familiar spot this Sunday (6/12) for Lawrence University’s annual graduation ceremonies — near the front of the processional and upon the commencement stage. But instead of overseeing the conferring of honorary degrees as he did for 25 years, he will be the recipient of one this time. Warch, who retired in 2004 as president of Lawrence, along with well-known composer and jazz musician John Harmon and Wisconsin business leader and philanthropist Herbert Kohler will be recognized for their achievements and contributions by Lawrence with honorary degrees during the college’s 156th commencement, which begins at 10:30 a.m. on the Main Hall green. Two hundred and seventy-nine seniors are expected to receive bachelor of arts and/or music degrees. During the ceremony, Lawrence will award an honorary Doctor of Fine Arts to Harmon, an honorary Doctor of Laws to Kohler, the chairman, chief operating officer and president of the Kohler Company, and an honorary Doctor of Humane Letters to Warch. In addition, the annual Lawrence University Outstanding Teaching in Wisconsin Award will be presented to Marilyn Catlin, a family consumer education teacher at Appleton East High School and Joseph Vitrano, who teaches Latin and English at Wauwatosa East High School. A baccalaureate service featuring Julie McQuinn, assistant professor of music, will be held Saturday, June 11 at 11 a.m. in the Lawrence Memorial Chapel. The three honorary doctorate degree recipients, along with President Jill Beck, Lawrence Board of Trustees Chair William Hochkammer and student representative Andria Helm, a senior from Rocky Mount, N.C., will address the graduates during commencement. Both the baccalaureate service and commencement ceremony are free and open to the public. Harmon, a native of Oshkosh who now resides in Winneconne, has left an indelible musical imprint, locally as well as nationally, as a pianist, composer, arranger and educator. After earning a bachelor of music degree in composition from Lawrence in 1957, he embarked on a musical career that saw him study with legendary pianist Oscar Peterson, work as a performer and arranger in New York City and tour Europe as the leader of a jazz trio. He also was a founding member of Matrix, the critically acclaimed contemporary nonet that recorded five albums in the 1970s and early ’80s. In 1971, Harmon returned to Lawrence and founded the college’s award-winning jazz studies program. He has remained involved with his alma mater over the years, directing Lawrence’s jazz combo program and teaching improvisation and jazz composition. As a composer, Harmon has received more than 50 commissions for a wide variety of genres, including orchestra, band and chamber ensemble. In addition, he has written more than 50 works for chorus. He has held composer-in-residence appointments at more than 40 elementary and secondary schools in Wisconsin and beyond and has served in that role at the Red Lodge Summer Music Festival in Montana since 1991. Harmon’s musical virtuosity has been recognized with numerous honors, among them the Renaissance Award from the Fox Valley Arts Council, the Distinguished Service Award from the Wisconsin Music Teachers Association and the Performance of the Month Award from Jazziz, the international jazz magazine. Most recently, Harmon was elected a fellow of the Wisconsin Academy of Sciences, Arts and Letters. Arguably best known for the world-class golf courses he has built in Wisconsin, including Whistling Straits, the acclaimed links course along the shore of Lake Michigan in Haven, Kohler has established himself as a visionary business leader and generous benefactor of the arts. A graduate of Yale University, he worked his way up through the ranks from high school laborer in the family manufacturing business founded by his grandfather in 1873 to become head of what is now one of the world’s largest privately owned companies. He was named a director of the Kohler corporation in 1967 and held successive appointments as vice president of operations, executive vice president and chairman of the board. He was appointed company president in 1974. 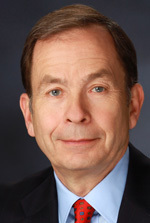 During his career, Kohler has received more than 200 design and utility patents and his business acumen has earned him induction into the National Association of Home Builders’ National Housing Hall of Fame, the National Kitchen and Bath Hall of Fame and the Family Business Hall of Fame of the Weatherhead School of Management at Case Western Reserve University. In 1997, he was awarded the Ellis Island Medal of Honor, which recognizes distinguished Americans who have made significant contributions to the nation’s heritage. In addition to his executive responsibilities with the Kohler Company, he serves as chairman of the Kohler Foundation, a philanthropic organization that supports educational, cultural and preservation projects in Wisconsin. The Kohler family has held a long association with Lawrence. Just as his mother and uncle had done previously, Kohler served as a member of the Lawrence Board of Trustees (1974-2002). Kohler Hall, a student residence, and the Kohler Gallery in the Wriston Art Center are named in honor of Kohler’s mother and father, respectively. The Kohler Company, the Kohler Trust for Arts and Education and the Kohler Foundation have supported numerous campus projects and programs, among them Science Hall, Wriston Art Center, the reconstruction of the Björklunden lodge, the Kohler Program in Art History and an arts program endowment. The Kohler Endowed Scholarship Fund has provided financial assistance for countless students. Warch, the second-longest serving president in Lawrence’s history, was named the college’s 14th president in 1979. Prior to that, he served the college two years as vice president for academic affairs. During his 25-year tenure, Warch established himself as a national advocate for the residential liberal arts college model of education, promoting the values of teaching and learning as well as civic and voluntary service. In 1987, he was cited as one of the country’s top 100 college presidents in the two year study, “The Effective College President,” which was funded by the Exxon Education Foundation. That same year, while delivering one of the keynote addresses of the NCAA annual convention, Warch sparked national discussion by calling for the elimination of all athletic scholarships in favor of administering financial aid to all students equitably on the basis of demonstrated need. Among the most important legacies of Warch’s presidency was the creation of the popular weekend student seminar program at Björklunden, Lawrence’s 425-acre “northern campus” in Door County and the establishment of Björklunden as an integral part of the Lawrence educational experience. As president, Warch oversaw the construction of six new campus buildings and the renovation of eight others. Lawrence’s endowment grew from $23.4 million at the start of his presidency to $182.2 million at the time of his retirement. Since leaving Lawrence, Warch has been honored by Campus Compact, a national higher education association dedicated to campus-based civic engagement, with its Presidential Civic Leadership Award and been appointed by Wisconsin Governor Jim Doyle to the state Ethics Board. A native of Ho-Ho-Kus, N.J., Warch earned his bachelor’s degree in history at Williams College and a Ph.D. in American Studies at Yale. He makes his home today in Ellison Bay. The highlights from a career spanning a quarter of a century in the Lawrence University Conservatory of Music are too numerous for retiring Professor of Music Robert Levy to narrow down to just a precious few. But the award-winning trumpet performer, conductor, teacher, composer and recording artist admits to at least one soft spot in his heart. “I still get goose bumps when a brand new work arrives and I’m opening that package for the first time knowing that pretty shortly I’ll be exploring new musical ground,” said Levy, known to many as Lawrence’s “new music man” for his passion for original and innovative works. Levy will be honored Sunday (6/13) with professor emeritus status and awarded an honorary master of arts degree, ad eundem, during Lawrence’s 155th commencement. Since joining the Lawrence Conservatory of Music faculty in 1979 as director of bands — he originally led just the wind ensemble, but shortly thereafter added a symphonic band to the conservatory’s ensemble line-up — Levy has conducted more than 130 concerts and worked with more than 900 student musicians. He has premiered more than 100 works during his career, many written expressly for him. In 1986, Downbeat magazine honored his ensemble with its “best symphonic band performance” award. “When Bob isn’t thinking about his beloved baseball Giants — he even had a dog named ‘Willie’ — he’s composing, commissioning, conducting, performing, practicing, teaching, eating, sleeping and drinking music,” said Fred Sturm, director of jazz and improvisational music at Lawrence, who was in his second year as a conservatory faculty member when Levy joined the college. Wilder was one of Levy’s favorite composers and he considered him a personal friend and mentor. In addition to conducting several concerts of Wilder’s music, Levy is completing work on a documentary about Wilder, who died in 1980, featuring colleagues who knew and worked with him. A native of New York City, Levy began his teaching and conducting career at Henderson State College in Arkansas. He spent eight years as director of wind ensemble and trumpet instructor at St. Mary’s College of Maryland before joining the Lawrence faculty. He earned his bachelor’s degree in music from Ithaca College and holds a master’s degree in music education from North Texas State University. In addition, he has completed all the course work toward a doctor of musical arts degree at the University of Iowa. For the 25th — and final — time, Lawrence University President Richard Warch will lead the procession of seniors and honored guests to the stage where he’ll award honorary doctorates, confer bachelor’s degrees and congratulate students for completing their undergraduate education Sunday, June 13 during the college’s 155th commencement. Graduation ceremonies begin at 10:30 a.m. on the Main Hall green. Warch will retire as Lawrence’s second-longest serving president at the end of the month. He is currently the longest-standing president of any college or university in Wisconsin and believed to be one of only 20 current presidents in the country who have served their present institutions for 20 years or more. An expected 303 seniors, Lawrence’s largest graduating class since 1977, will receive bachelor of arts and/or music degrees. In addition, Lawrence will award honorary doctorate degrees to John Carroll, editor of the Los Angeles Times, Jonathan Fanton, president of the John D. and Catherine T. MacArthur Foundation, Stanley Fish, dean of the College of Liberal Arts and Sciences at the University of Illinois-Chicago and Samantha Power, lecturer in public policy at the John F. Kennedy School of Government at Harvard University. Also, Professor of Music Robert Levy, who is retiring after 25 years as director of bands at Lawrence, will receive professor emeritus status and awarded an honorary master of arts degree, ad eundem. A baccalaureate service, featuring Daniel Taylor, Hiram A. Jones Professor of Classics delivering the address “Making Connections,” will be held Saturday, June 12 at 11 a.m. in the Lawrence Memorial Chapel. All four honorary doctorate degree recipients, along with President Warch, Lawrence Board of Trustees Chair Jeffrey Riester and student representative Andrea Hendrickson, a senior from Tillamook, Ore., will address the graduates during commencement. Both the baccalaureate service and commencement ceremony are free and open to the public. Carroll, whose distinguished journalism career spans more than 40 years and includes seven Pulitzer Prizes, will receive an honorary doctor of laws degree. Named editor of the Los Angeles Times in 2001, he helped the paper earn five Pulitzers earlier this year, the second most ever won by a newspaper in a single year. The New York Times was awarded seven Pulitzer’s in 2002 for its coverage of the Sept. 11 terrorist attacks. After beginning his career as a reporter for the Providence Journal in Rhode Island, Carroll was drafted into the Army and served in Alaska, writing for the base’s newspaper. He joined the Baltimore Sun as a reporter in the late 1960s, covering the Vietnam War and the Nixon administration. He became the subject of a front page story in The New York Times after having his press credentials suspended for writing a story detailing U.S. plans to abandon Khe Sanh. Without his knowledge, the Army had imposed an embargo on news coverage of Khe Sanh. Following protests from media colleagues and a Congressional investigation, the Army restored Carroll’s credentials. He spent seven years as a city editor and metropolitan editor at the Philadelphia Inquirer before being named editor of the Lexington Herald-Leader in Kentucky. Carroll returned to the Baltimore Sun as its editor in 1991, guiding it to Pulitzer Prizes in 1997 and ‘98 before taking editorial leadership of the Los Angeles Times. Fanton, who will receive a honorary doctor of laws degree, has served as president of the Chicago-based MacArthur Foundation since September 1, 1999. With assets of nearly $4.3 billion, MacArthur is one of the nation’s 15 largest foundations and annually awards grants domestically and internationally of more than $180 million in support of public education, community development, system reform in mental health and juvenile justice, human rights, biodiversity preservation, reproductive health and international peace and security. It also supports public radio and television and the making of independent documentaries as well as support for exceptionally creative individuals through its famed “genius grant” Fellows program. Before joining the MacArthur Foundation, Fanton served as president of New York City’s New School University (formerly known as New School for Social Research) from 1982-99. As president, he led the integration and enhancement of the seven divisions of the university, the expansion of the Greenwich Village campus and development campaigns that increased the university’s endowment from $8 million to more than $80 million. During his presidency, the New School merged with the Mannes College of Music, established a drama school in partnership with the Actor’s Studio, merged with the World Policy Institute, added a jazz and contemporary music program, a teacher education program, a creative writing program and an architecture department at Parsons School of Design. Fanton began his career teaching American history at his alma mater, Yale University, where he earned his bachelor’s degree and Ph.D. He served as a special assistant to Yale President Kingman Brewster from 1970-73 and as associate provost from 1976-78. He then moved to the University of Chicago, where he spent the next four years as vice president for planning and also taught American history. Fish will receive a doctor of humane letters. Considered one of America’s most distinguished scholars of English literature, law and literary theory, particularly the subjectivity of textual interpretation, he has served as a dean and distinguished professor of English, criminal justice and political science at UIC since 1999. Fish as written nearly a dozen books, among them “John Skelton’s Poetry,” “Surprised by Sin: The Reader in Paradise Lost,” the second edition of which received the Hanford Book Award in 1998, “Self-Consuming Artifacts,” which was nominated for a the National Book Award in 1972 and “There’s No Such Thing as Free Speech, and It’s a Good Thing, Too,” which earned the 1994 PEN/Spielvogel-Diamonstein Award. In the past 30 years, more than 200 articles, books, dissertations and review articles have been devoted to his work. Fish is a frequent guest on shows ranging from the “MacNeil/Lehrer Newshour” to CNN’s “Firing Line” to “Hardball with Chris Matthews.” In 2003, the Chicago Tribune named him its “Chicagoan of the Year” for culture. A graduate of the University of Pennsylvania, Fish earned his Ph.D. from Yale University and began his teaching career in the English department at the University of California-Berkeley. Power, a human-rights activist, lawyer, scholar and award-winning author, will receive an honorary doctor of humane letters degree. Her recent book, “A Problem from Hell: America and the Age of Genocide,” which examines U.S. responses to genocide in the 20th century, was awarded the 2003 Pulitzer Prize for general non-fiction, the 2003 National Book Critics Circle Award for general non-fiction and the Council on Foreign Relations’ Arthur Ross Prize for the best book in U.S. foreign policy. She also co-edited the 2000 book, “Realizing Human Rights: Moving from Inspiration to Impact,” a collection of essays by leading activists, policy makers and critics who reflect upon 50 years of attempts to improve respect for human rights. In 1998, she founded Harvard’s Carr Center for Human Rights Policy, which trains future leaders for careers in public service with a focus on the most dangerous human rights challenges, including genocide, mass atrocity, state failure and the ethics and politics of military intervention. She served as the Carr Center’s executive director until 2002. A native of Ireland who moved to the United States when she was nine, Power covered the war in the former Yugoslavia from 1993-96 as a reporter for U.S. News & World Report, the Boston Globe and the London-based news magazine The Economist. A graduate of Yale University and Harvard Law School, she is currently working on a book on the causes and consequences of historical amnesia in American foreign policy. Two well-known and widely admired Fox Cities community leaders, one of the country’s most celebrated scholars of American colonial history and the founder of the world’s largest contemporary blues record label will be recognized for their achievements with honorary degrees from Lawrence University Sunday, June 15 during the college’s 154th commencement. Lawrence will award an honorary doctor of laws to Oscar Boldt, chairman of The Boldt Group, and his wife, community volunteer Patricia Boldt, an honorary doctor of humane letters to acclaimed Yale University historian Edmund Morgan and an honorary doctor of music to award-winning record producer Bruce Iglauer. In addition, Lawrence will confer 279 bachelor’s degrees during commencement exercises, which begin at 10:30 a.m. in the Main Hall Green. A baccalaureate service, featuring Peter Fritzell, professor of English, will be held Saturday, June 14 at 11 a.m. in the Lawrence Memorial Chapel. Both events are free and open to the public. All four honorary degree recipients, along with Lawrence President Richard Warch, Lawrence Board of Trustees Chair Jeffrey Riester and student representative Tetteh Otuteye, a senior from Accra, Ghana, will address the graduates during commencement. Born and raised in Appleton, Oscar Boldt has spent more than 50 years with the family construction business. Under his leadership, first as chief operating officer, later as president, then as chief executive officer and finally as company chairman, Oscar J. Boldt Construction Co. has grown into the largest contracting and construction management firm in Wisconsin and one of the nation’s top 75 general contractors. The firm earned national recognition in 1995 after playing a key role in the rescue operations following the bombing of the Murrah Federal Building in Oklahoma City. During his decades-long tenure as a business and civic leader, Oscar Boldt has served as president of the board of directors of the Appleton Medical Center, the Appleton Area Chamber of Commerce, the Appleton Family YMCA, the Community Foundation for the Fox Valley Region, Inc., and the Appleton Rotary Club. He also has served as a member of the Lawrence Board of Trustees as well as the board of directors of M & I Bank, Valley Bank, Midwest Express Airlines, the Boy Scouts of America – Valley Council and Pierce Manufacturing, among others. The recipient of Ernst & Young’s Master Entrepreneur of the Year Award in 1991, Oscar Boldt was inducted as a charter member into the Appleton West High School Hall of Fame (Class of 1942) in 1999 and the following year he was inducted into Appleton’s Paper Industry International Hall of Fame. Earlier this year, he was honored as a member of the Wisconsin Business Hall of Fame. A 1948 graduate of the University of Wisconsin, his alma mater recognized him with its Distinguished Alumni Award in 1999. Patricia Boldt, a 1948 graduate of Lawrence, has developed a reputation as a woman who never says “no” when it comes to getting involved in meaningful community projects. Since moving to the Fox Cites to attend Lawrence in the mid-1940s from Ontonagon, Mich., Patricia Boldt has been a tireless advocate, volunteer and mentor for countless area organizations. She has served as president of the Infant Welfare Circle since 1974, spent six years (1970-76) as president of the board of the United Way as well as serving on the board of directors of the Salvation Army, the Fox Valley Symphony and the Girl Scouts. In addition, she has devoted volunteer time with LEAVEN, Meals on Wheels, Friends of the Appleton Library, Mosquito Hill Nature Center and the Lawrence Alumni Board of Directors and Founders Club. From 1974-82, she served as a member of the St. Olaf College Board of Regents. Her generous efforts have been recognized with numerous honors and awards, including 2002’s Paul and Elaine Groth Mentoring Award, Aid Association for Lutheran’s prestigious Walter Rugland Community Service Award in 1988, which she shared with her husband, Oscar, and the St. Olaf Regents Award in 1993. Morgan, the Sterling Professor of History Emeritus at Yale, is widely considered one of America’s most distinguished historians. His award-winning body of work includes more than a dozen books, among them “Inventing the People: The Rise of Popular Sovereignty in England and America,” which won Columbia University’s Bancroft Prize, and “American Slavery, American Freedom,” which was honored with prizes from the Society of American Historians and the American Historical Association. Two of his early books, “Birth of the Republic” (1956) and “The Puritan Dilemma” (1958) have been required reading in many school history courses for decades. Among Morgan’s other works are biographies of Ezra Stiles and Roger Williams and a book on George Washington. His most recent book, “Benjamin Franklin,” which he wrote at the age of 86, has been critically heralded as one of the best short biographies of Franklin ever published. It was a finalist for the 2002 National Book Critics Circle Award. Morgan retired from the Yale faculty in 1986 after a 31-year teaching career. The honorary degree from Lawrence will be Morgan’s 10th honorary doctorate. Iglauer, who earned a bachelor’s degree in theatre and drama from Lawrence in 1969, turned a passion for the blues and a burning desire to record his favorite band into the world’s largest and most successful contemporary blues recording company. In 1971, at the age of 23, Iglauer single-handedly founded Alligator Records, an independent label based in his one-room Chicago apartment, with the intent to make one album, a recording of Hound Dog Taylor and the Houserockers, his favorite group. He recorded the group live in a studio over two nights, producing a direct-to-two-track master tape and paid to have 1000 copies of the album pressed. Since that initial recording, Iglauer has helped Alligator Records produce more than 200 titles and win more awards than any other blues label. Alligator recordings have garnered 32 Grammy Award nominations, winning twice (1982 and 1986), 18 Indie Awards from the Association for Independent Music and three Grand Prix du Disque awards. Alligator and its artists also have captured a total of 72 W.C. Handy Blues Awards, the blues community’s highest honor. Iglauer is the co-founder of Living Blues, America’s oldest blues magazine, and is a three-term president of the Blues Music Association, which he also founded. He has been honored with a Lifetime Achievement Award from the Montreux Jazz Festival and was inducted into the Blues Hall of Fame in 1997. Last year, Iglauer was recognized by Chicago Magazine with its “Chicagoan of the Year” award. Paul Bucheger of Seymour and Robert Chesney of Cedarburg will be recognized as outstanding educators Sunday, June 15 by Lawrence University at the college’s 154th commencement. Bucheger, at teacher at Seymour High School, and Chesney, who teaches at Ozaukee High School, will be presented annual Lawrence’s Outstanding Teaching in Wisconsin Award as part of the day’s celebration. Established in 1985, the teaching award recognizes Wisconsin secondary school teachers for education excellence. Recipients are nominated by Lawrence seniors who attended high school in Wisconsin. They are selected on their abilities to communicate effectively, create a sense of excitement in the classroom, motivate their students to pursue academic excellence while showing a genuine concern for them in as well as outside the classroom. Bucheger and Chesney, the 39th and 40th teachers honored in the program’s 19-year history, each will receive a certificate, a citation and a monetary award. Bucheger has taught physics and mathematics at Seymour High School since 1987, developing a respected reputation for his classroom creativity and practical, real-life applications of often intimidating subject matter for his students. In nominating him for the award, Lawrence senior Mark Schmoll cited Bucheger’s communication skills, his ability to generate excitement about the subject matter and his genuine concern for students. In addition to his teaching duties, Bucheger has been a long-time volunteer coach with the Seymour Middle School wrestling program. A native of Greenwood, Bucheger earned his bachelor’s degree in physics and mathematics at the UW-Eau Claire and a master’s degree in education at Viterbo University. Chesney began his teaching career in 1978 at Ozaukee High School where he teaches English, literary analysis, research writing and AP literature. His innovative use of technology in his classes has earned Chesney numerous awards, including Time Warner’s Teaching Creatively with Cable Gold Award in 1999, 2001 and 2002. He also was named recipient of Time Warner’s Crystal Apple National Teacher Award in 1999 and 2001. The faculty advisor to the school newspaper, Chesney was named the Journalism Advisor of the Year in 1999 by the Kettle Moraine Press Association. He serves as a coach of the school forensics team and is the author of numerous published articles in “Quill and Scroll” “Tech Learning” and “The Well Connected Educator,” among others. Chesney earned his bachelor’s degree in English at the UW-Oshkosh and his master’s degree in English literature at Marquette University.